Newer construction with a classic flair in South Grove! 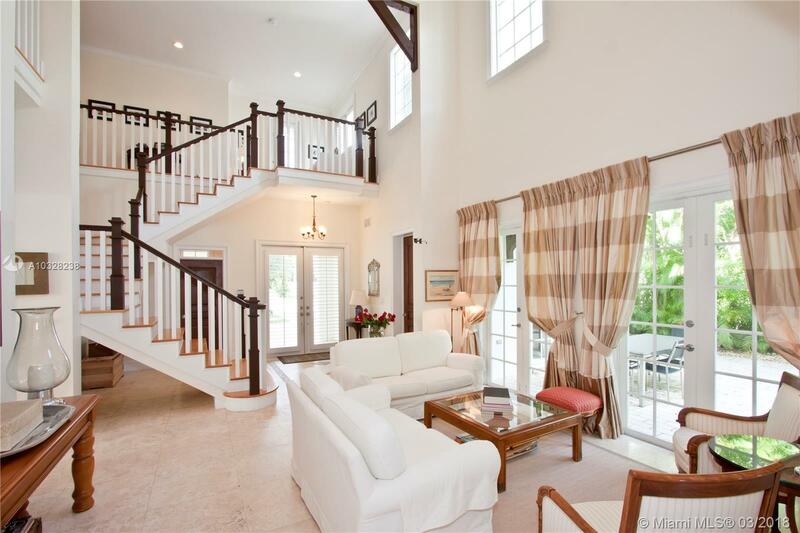 Key West architecture meets modern luxury in this superbly warm and functional 6 bed/6.5 bath home. All 6 bedrooms are equipped w/ en-suite baths and walk-in closets. This spacious 4,690 sqft under air home is thoughtfully planned for living and entertaining. Two-story ceiling welcomes you into a formal living area. Just beyond lies a sizeable family/Fla room. A chefâs delight, the kitchen offers gas range, built-in wine cooler, granite counters, wood cabinets and generous island+bar. The gracious formal dining room is fit for exquisite dinners. Impact glass, metal roof, pool w/ spacious yard (lot is 9,380 sqft) located in one of Miamiâs most sought-after neighborhoods! LA Sqft per appraiser's measurements and Adj sqft per tax roll. Directions: Between Lejeune Road And Braganza Avenue On The North Side Of Woodridge Road.